If you are looking to enhance your windows to create a certain tone for your room, we have all of the window treatments and accessories and hardware. We can help you choose the right products to give your room the atmosphere you want. 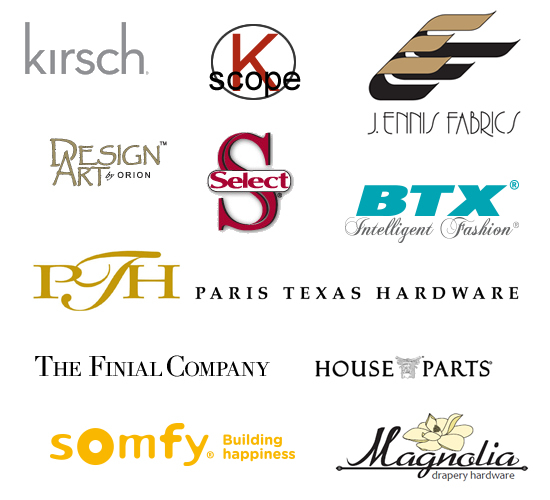 We have a fantastic selection of window treatment accessories and hardware from the best brands including Select Drapery Hardware, Kirsch, KScope, House Parts, J. Ennis, The Finial Company, Orion Window Hardware, Paris Texas Hardware, Magnolia Drapery Hardware, Somfy and BTX. Please free to contact us directly if you have any questions! © Exterior Motives, LLC. All Rights Reserved. Exterior Motives offers our services throughout South Central and Southeastern Wisconsin. All areas are covered including the counties of Waukesha, Jefferson, Dodge, Dane, Walworth, Racine, Kenosha, Milwaukee, Ozaukee.